COLUMBUS, Ohio – Ohio State University Extension has begun a new signature program called Healthy Soil Healthy Environment to help increase soil health and awareness of new research. Program outreach will include a new soilhealth.osu.edu website, as well as workshops and field days where research results will be presented. OSU Extension is the outreach arm of The Ohio State University’s College of Food, Agricultural, and Environmental Sciences. Ohio State is at the forefront of new research and applying findings to create greater profitability and positive environmental outcomes, said Culman. Researchers are already developing more advanced soil testing methods and conducting train-the-trainer workshops to educate OSU Extension educators and others. A comprehensive soil health assessment test will also be developed for Ohio farmers, said Alan Sundermeier, director and agriculture and natural resources educator in OSU Extension’s Wood County office. Although standard soil testing in fields is not new, farmers are beginning to rely on testing a great deal more than in the past. Newer technology has also made the process quicker and more cost efficient. Soil testing can show trends in soil fertility and determine what nutrients need to be added to the soil to improve it, said Culman. It takes thousands of years to form a few centimeters of soil, even in ideal climate conditions. By building the soil, producers are also building fields’ production potential. By knowing and understanding the nutrients in the soil, and also the nutrients that may be missing, farmers can better equip their land to maximize soil function and crop response. Ohio is lucky enough to have a solid infrastructure that helps soil scientists and producers alike manage nutrients more effectively. This includes private consultants who will sample soils, professional soil testing laboratories that will analyze soils quickly, and nutrient recommendations from OSU Extension specialists. Providing farmers with good information about soil health helps them make healthy decisions where their soil is concerned. 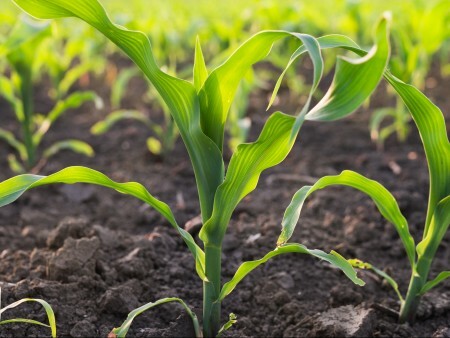 Rather than focusing solely on soil chemistry, soil health testing seeks to provide farmers insight into the biological and physical structure components of soil. According to the Healthy Soil Healthy Environment website, the program will serve a variety of clientele, including traditional, organic, no-till, sustainable and low-input farmers; landowners; 4-H youth; adult and youth urban gardeners; Master Gardener Volunteers; crop consultants; agricultural retailers; salesmen; underserved populations; and the general public.